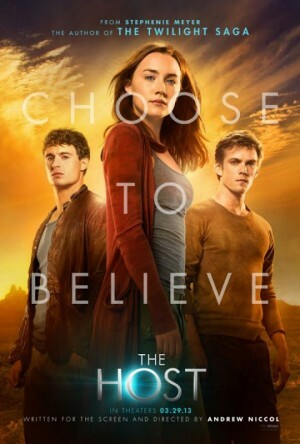 Is "The Host" the next "Twilight"? Anything's possible. Based on a book by Stephenie Meyer, this movie stars Saoirse Ronan as Melanie Stryder, a human girl who's injected with a parasitic alien soul. But instead of carrying out her race's mission of taking over the Earth, "Wanda" -- as she's come to be known -- forms a bond with her host and sets out to help other humans. Directed by Andrew Niccol ("In Time"), this sci-fi thriller also stars Diane Kruger, Frances Fisher, Jake Abel, Max Irons, William Hurt and Boyd Holbrook.